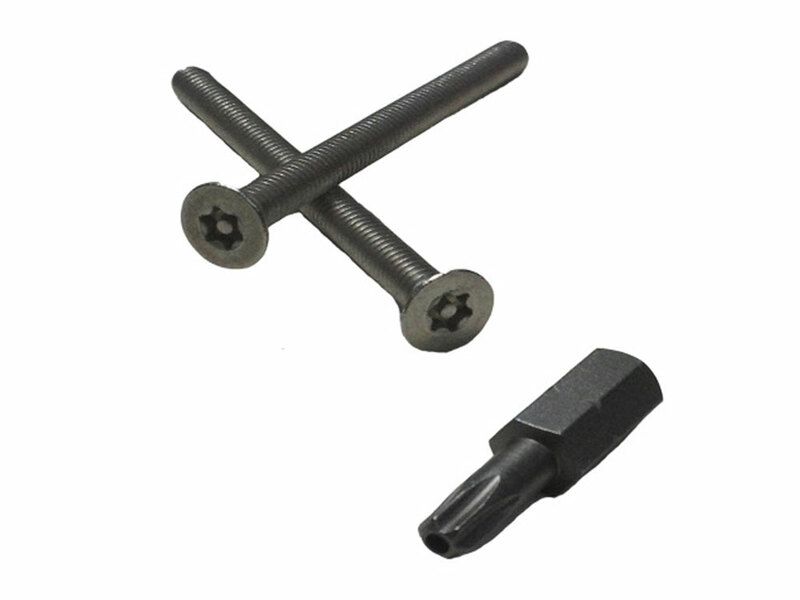 Lockey Tamper Proof Screws have a special screw head that can only be turned with the matching screw driver bit that is included in the kit. Use these screws instead of the standard lock screws that come with Lockey locks and only you will be able to take your lock off your door or gate. The first few numbers of a lock model number determines the lock series. For example, a 2200 lock would be part of the 2000-Series. Each Series may include single and double-sided locks. ACCESSORIES: items to use with keyless locks (closers, guards, handles, lube, software, stops, security screws, trim plates, etc.). KITS: (special screws and screw driver bit for extra security). If you are worried about someone breaking into your house and changing the combination on your lock, these screws will put your mind at ease. 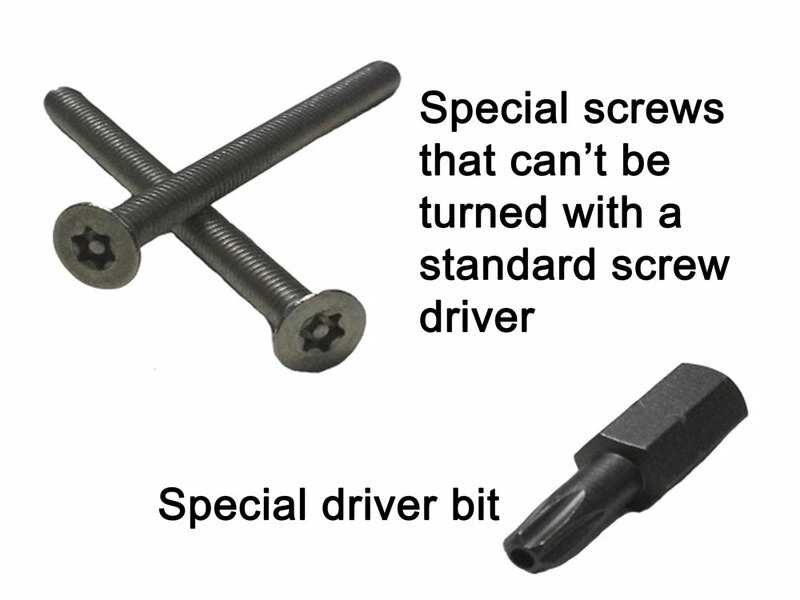 When you use these instead of the standard screws that come with the locks, you will only be able to uninstall the lock with your special driver bit. This kit comes with two or four screws, depending on the lock model you specify. This kit comes with one screw driver bit that matches the special screw heads. If ordering these separately, please include the number of your original order where you purchased your lock.